Pink Lady Slipper or Moccasin Flower Blooming in Pennsylvania, 30 April 2010. 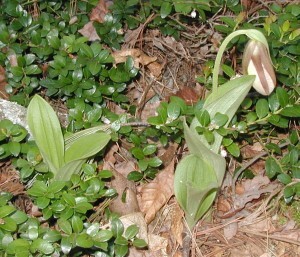 Checking on the huckleberry plants the other week I was pleasantly surprised to see the Pink Lady’s Slipper or Moccasin Flower, Cypripedium acaule. After I saw one I looked for more lady slippers and found a number of them right along the trail near the stone monolith. 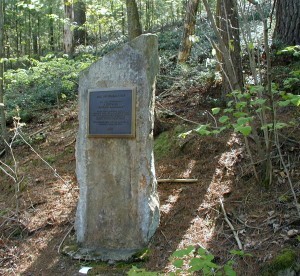 Stone monolith to mark the Natural Historic Landmark. 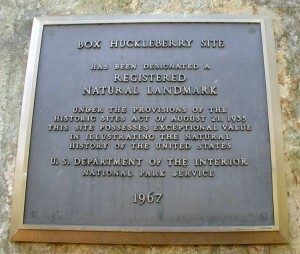 Registered Natural Landmark since 1967. 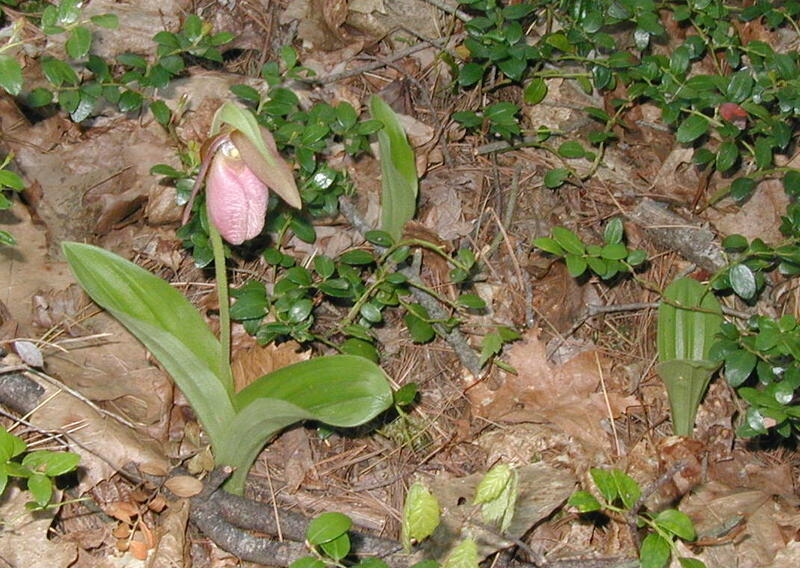 Pink lady slippers don’t bloom every year. 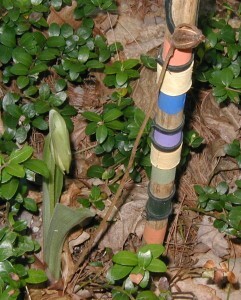 Typically a third to a half of the plants in an area will bloom while the others just display their two thick leaves. Pink Lady's Slipper young bloom and leaves. The flower starts life with a light pink or cream color that darkens as the flower matures. Pink flower or pouch of the Pink Lady's Slipper. 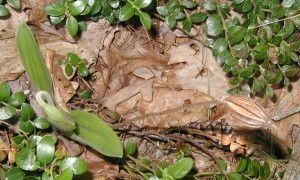 Three orchids in the image above with one mature flower. 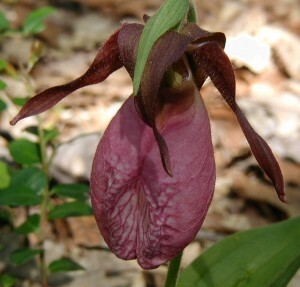 Flower of pink lady slippers. Two orchids and one of them blooming. Note the brown to maroon sepals and light green bract at the base of the flower head in the image above. Pink Lady's Slipper pink pouch. The pink lady slipper is fairly common in our territory here in the Appalachian Mountain ridges. I’ve seen them blooming plenty of times, but never saw one that formed a seed head. That may be a result of searching them out when they’re blooming and not paying much attention to them the rest of the year. 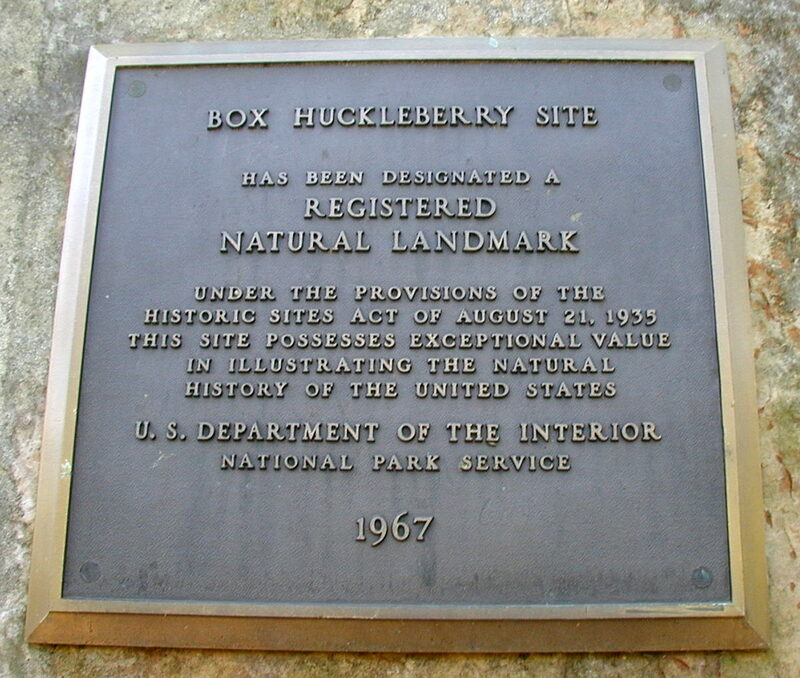 Here, there were two plants that must have formed seed heads the prior year. The brown seed heads were still attached to the plants. Seed head of pink lady slipper orchid. 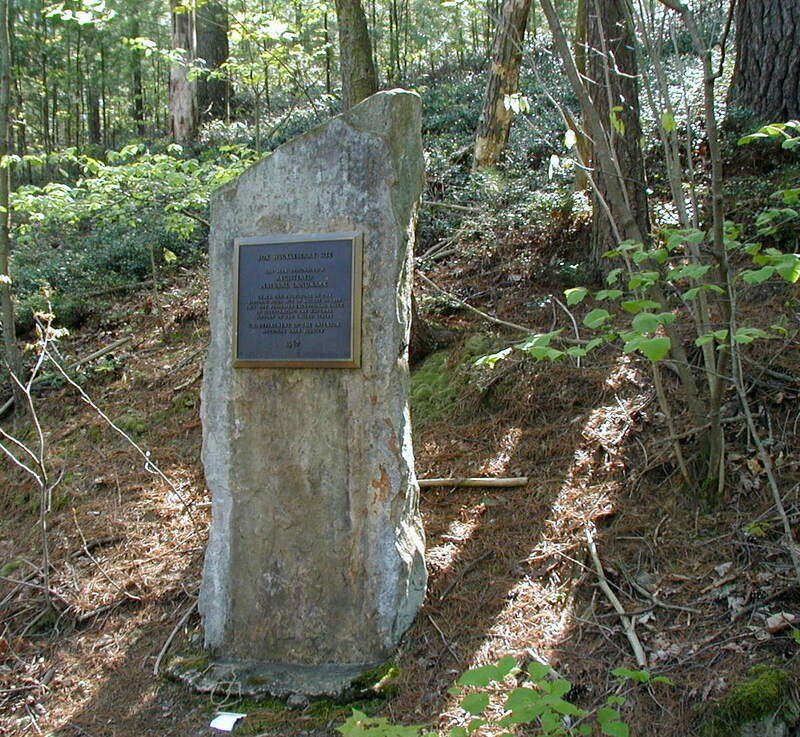 Note in the image above that the brown seed head rose to about 16 inches. Looking down on the seed head of pink lady's slipper. 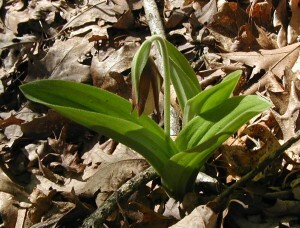 In the image above a young orchid flower is on the left and a seed head formed the prior year is on the lower right. Note that the seed head is slotted, apparently for releasing the seeds. A second pink lady's slipper went to seed last year. 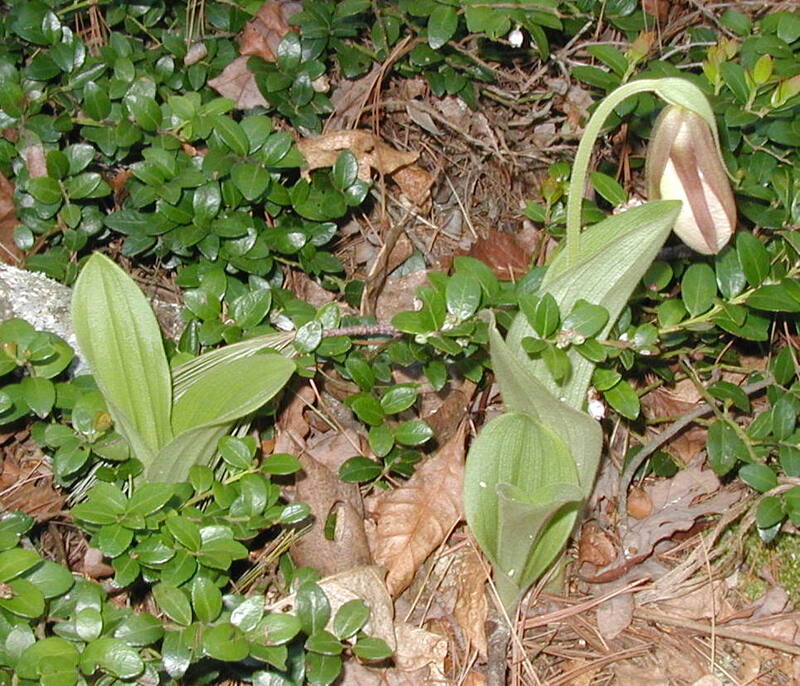 The pink lady’s slipper was also flowering along the slope of the trail on the east side of the Box Huckleberry Natural Area. 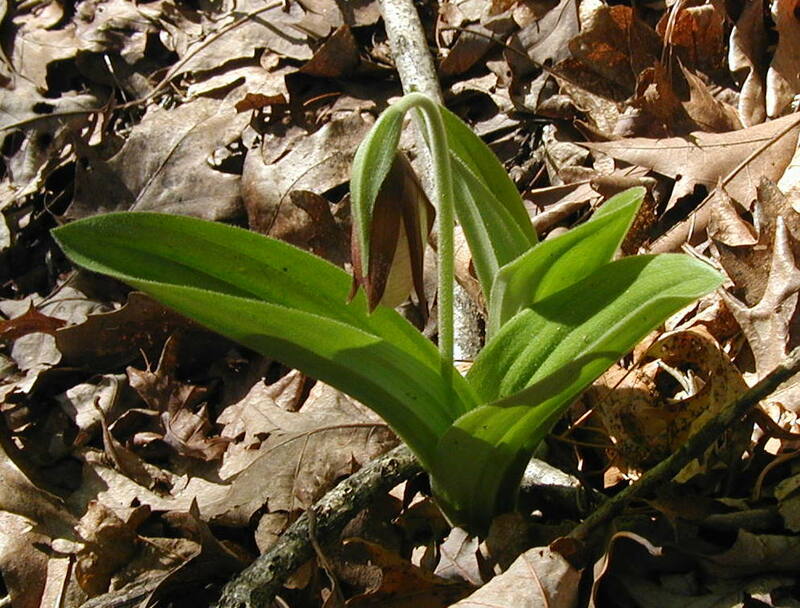 Each Mother’s Day I look forward to seeing the native moccasin flowers blooming. 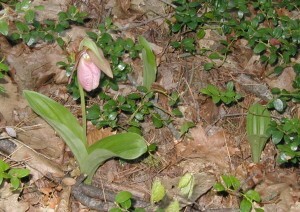 Since Mother’s Day was celebrated on May 9, 2010 the Pink Lady’s Slippers bloomed right on time. Thanks for the update, Kirk! Right around Mother’s Day is usually the time to look for them so maybe they’re a little late this year. Great to get your observations!